Top Ten Tuesday is a weekly meme hosted by The Broke & The Bookish. This week is an election-based freebie, so I’m going with my favorite fictional Presidents. 6. Selina Meyers (Julia Louis Dreyfus) in Veep. She wasn’t President for very long, but this foul-mouthed Democrat is hilarious and JLD is very worthy of her 6-straight Emmy’s. 5. Thomas Whitmore (Bill Pullman) in Independence Day. Who doesn’t love a President who is also an ex-fighter pilot? He gave one of the best speeches in a movie, ever! 4. Dave Kovic (Kevin Kline) in Dave. This is such a great movie. The president is a cheating douche and his doppelgänger steps in to save the day. 3. 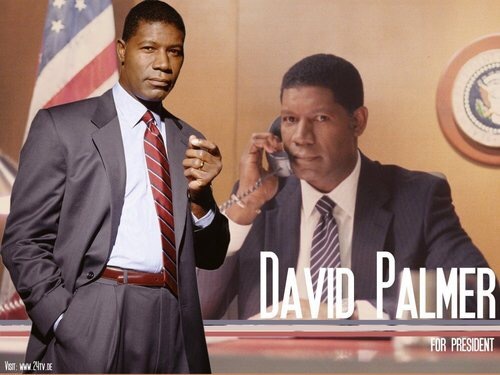 David Palmer (Dennis Haysbert) from 24. Oh President Palmer, miss you! Such a great character overall, added to the fact that he was a president. Love him!! 2. 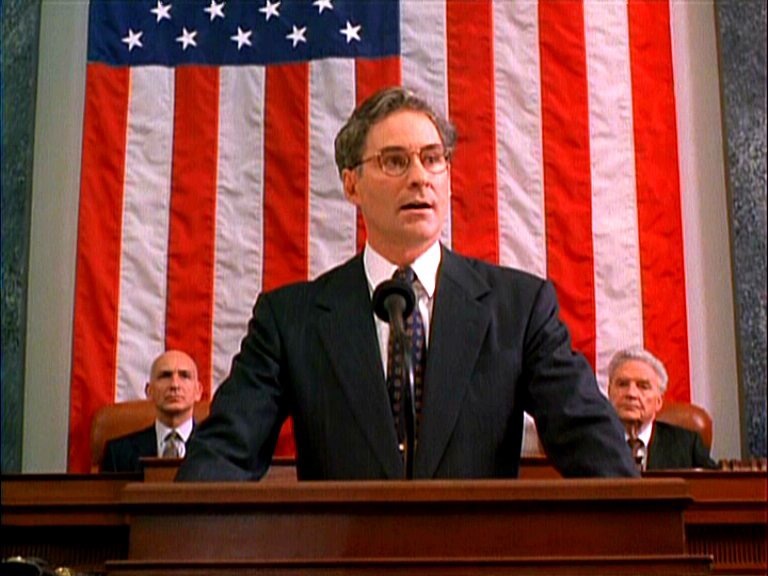 Andrew Shepard (Michael Douglas) in The American President. My top 2 picks were both written by Aaron Sorkin. He writes such amazing characters. President Shepard gives an amazing speech at the end of this movie. It was the ultimate mic drop before those existed. 1. Jed Bartlet (Martin Sheen) from The West Wing. One of my favorite TV characters of all time is Jed Bartlet. This entire cast was amazing, but Jed Bartlet was the best. Hands down.